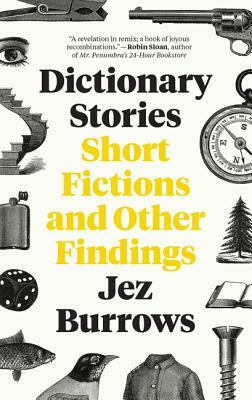 Jez Burrows opened the New Oxford American Dictionary and sat, mystified. Instead of the definition of "study" he was looking for, he found himself drawn to the strangely conspicuous, curiously melodramatic sentence that followed it: "He perched on the edge of the bed, a study in confusion and misery." It read like a tiny piece of fiction on the lam and hiding out in the dictionary—and it wasn’t alone. Was it possible to reunite these fugitive fictions? To combine and remix example sentences to form new works? With this spark and a handful of stories shared online, Dictionary Stories was born. Jez Burrows is a British designer, illustrator, and writer. He lives in San Francisco.